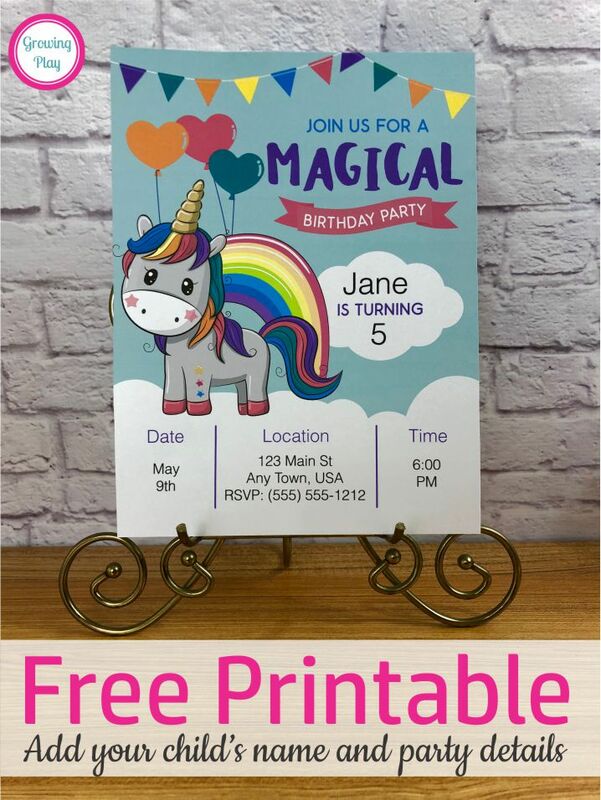 Are you looking for a super cute, free printable unicorn birthday invitation? Well, look no further because this one is FREE and you can even EDIT it. You can add your child’s name and party information right on the digital file and print as many copies as you need for your guests. This freebie is from the Unicorn Party Printables pack. This design is playful and fun for your unicorn loving birthday girl. Let their day be magical and don’t stress out. No need to run to Party City (and spend way more money than you need to). 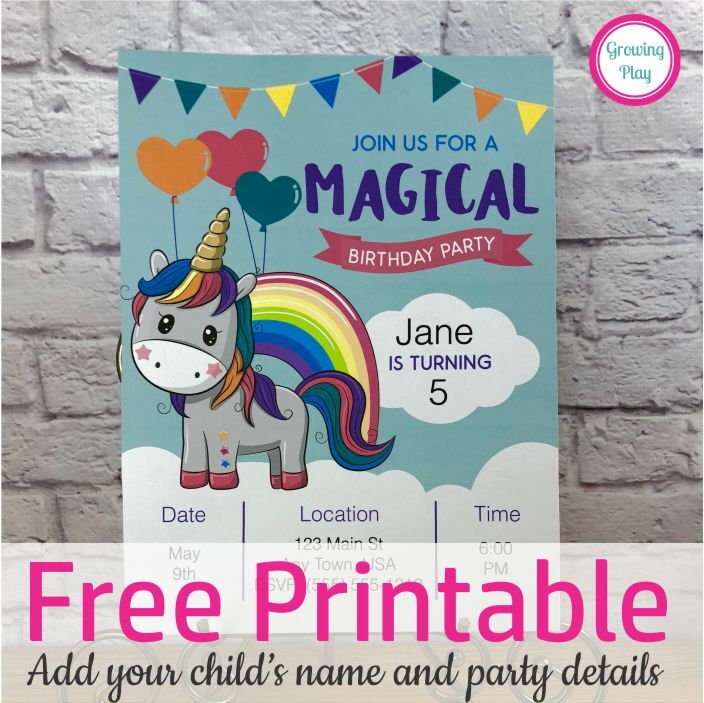 Just download your free printable unicorn birthday invitation below, type in your child’s name and the party details. Print and send to all the party guests. Want to make the party stress free? 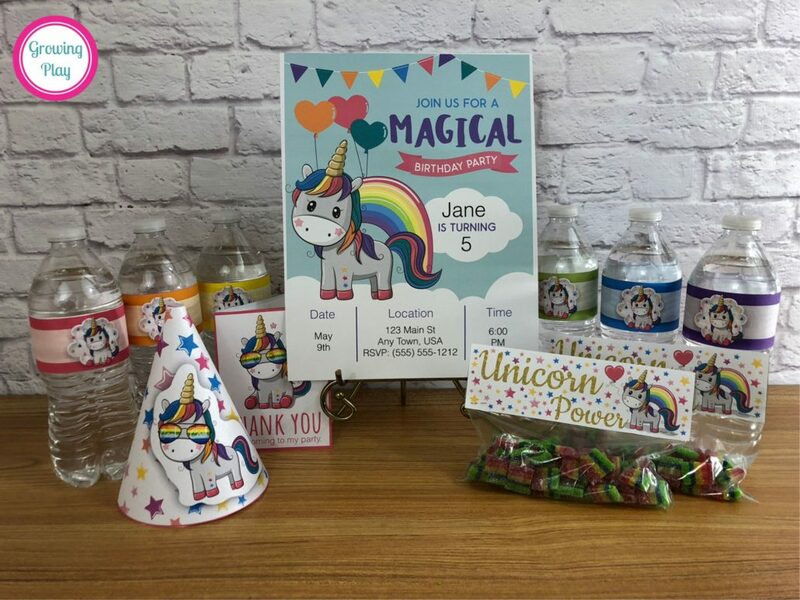 Check out the ULTIMATE Unicorn Birthday Party Package. 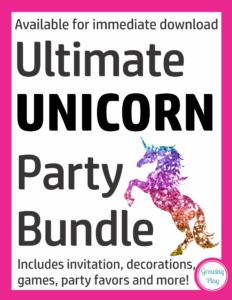 You will get 6 unicorn printable packets to get your party planning done in just one click. It includes more printables for decorations, games, party favors and even thank you notes! All for one super low discounted price. Sign up to receive the weekly email newsletter from Growing Play. You will be redirected to your FREE birthday invitation.